Franz Peter Schubert was one of the finest music composers of the 19th century. His involvement in music started when he was six years old. His father and brother Ignaz are said to have contributed to his early involvements in music. His father taught him to play the violin while is brother Ignaz gave him piano lessons. Schubert love for music grew and so he was given the opportunity to take music lessons from Michael Holzer the church choirmaster and organist. Schubert started to perform before public audiences while he was a part of his father’s string quartet. 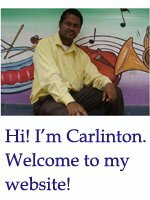 His involvement in his father’s string quartet gave him the opportunity to write several compositions for their string ensemble. Schubert matured even more in music when he started doing music lessons with Antonio Salieri at the Stadtkonvikt (Imperial Seminary). While at the seminary he was involved in the choir and led the Stadtkonvikt orchestra. While he was guided by Salieri, he took musical composition and theory classes. The information he gained allowed him to be a better composer. Schubert was able to compose a number of chamber music, songs and short pianoforte pieces before he left the Stadtkonvikt. By about age 16 Schubert returned home and trained to become a teacher. He started teaching at his father’s school a year later. While being a teacher he continued doing music lessons with Salieri. He was determined to become a great composer. While teaching, he was able to compose a great number of master pieces which included the pieces “Gretchen am Spinnrade” and “The Erlking”. By age 19 Franz Schubert composed over 342 works which includes two symphonies, a mass and an opera. Schubert gave up teaching at age 21 and dedicated most of his time to music. 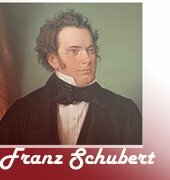 By age 30 Schubert was known to many individuals as a great composer. He composed over 600 songs, he also composed symphonies, string quartets, chamber music, short piano pieces and sonatas and operas. On November 19, 1828 Schubert died of typhoid fever, he was 31 years old. However, some individuals say that he died of mercury poisoning while under going treatment for syphilis. Schubert is among the list of great composers and piano players of the 19th century, leaving us with two great works; “Unfinished Symphony” and the “Great C Major Symphony”. Visit en.wikipedia.org for a list of Schubert's compositions. Click here to leave the Franz Schubert page and return to home page! READ ABOUT ABOUT OTHER GREAT COMPOSERS OF THE 18TH AND 19TH CENTURY!